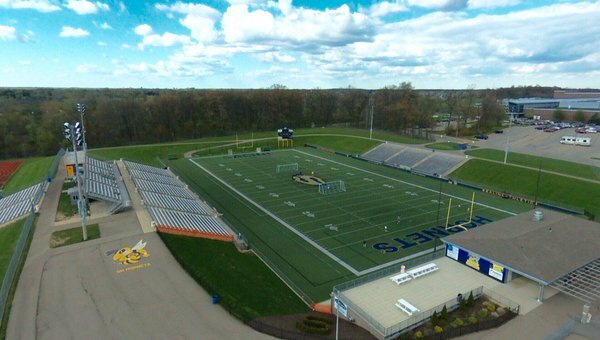 10:00 a.m. – 4:00 p.m. @ Saline H.S. 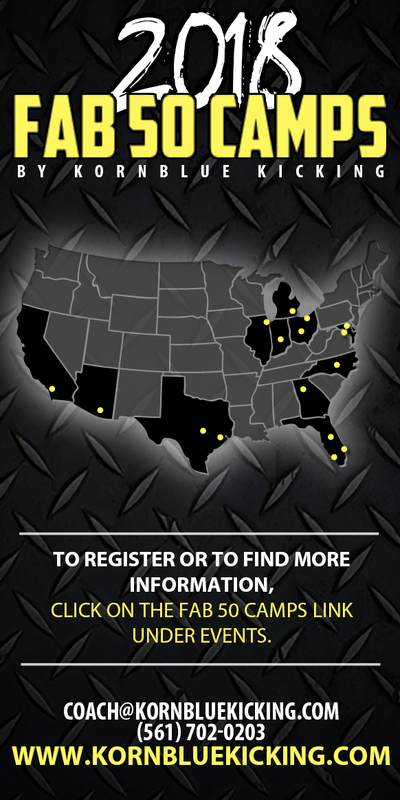 Fab 50 Camps are instructional/exposure events offered in various locations throughout the country. Athletes receive professional coaching in a setting which provides a low coach-to-player ratio. 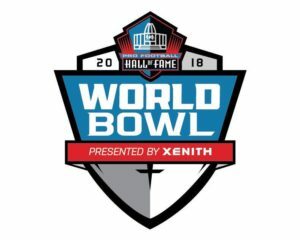 Athletes at this camp are charted and evaluated for the opportunity to be ranked as part of the Fab 50 National Ranking of Kickers, Punters, & Long Snappers. 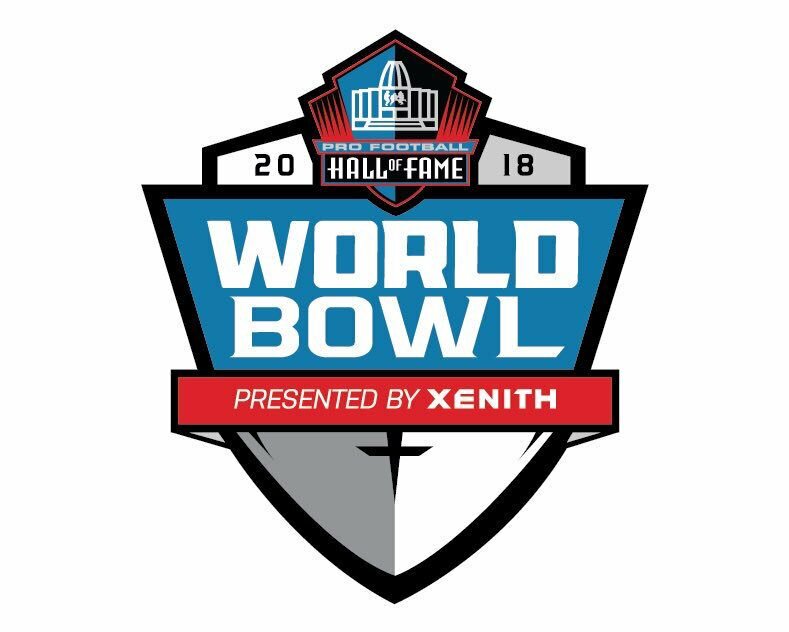 We are partnered with the Pro Football Hall of Fame and are responsible for selecting the specialists for both of their All American games, the World Bowl (for HS seniors) & the 8th Grade All American Game. Top performers at these camps will earn an invitation to compete for the coveted spots in these games. ….plus numerous other scholarship athletes! Coach Kornblue, of Kornblue Kicking, personally runs these camps. His staff consists of current and former NFL, AFL, and NCAA Division 1 kickers, punters, and long snappers. Regrettably, refunds are not available under any circumstances. You may, however, transfer your camp fee to another event within one year. The camps use collegiate or high school football fields. FieldTurf fields are the preferred surface. 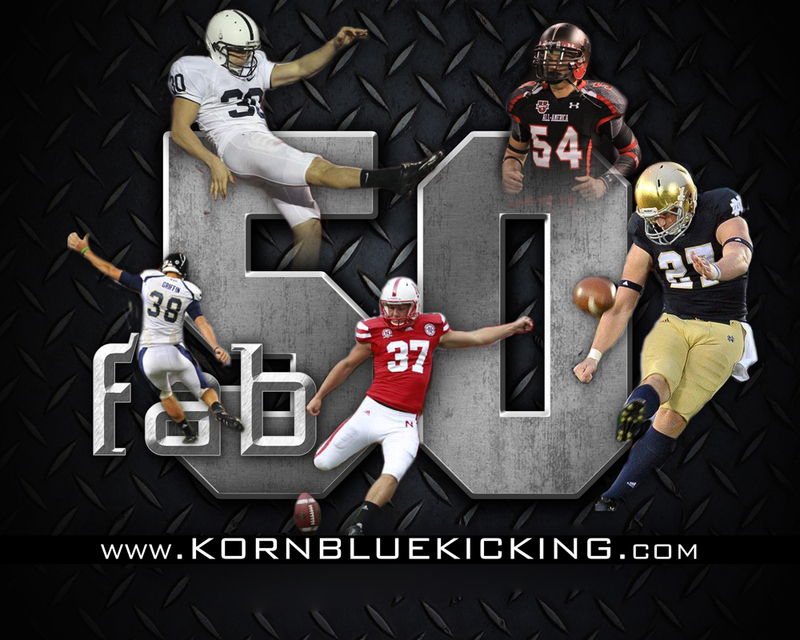 Contact us if your school would be interested in hosting a Fab 50 event. Meals are not typically provided during Fab 50 camps. However, we usually take time for a brief break midway through the camp. Feel free to bring lunch, snacks, etc. KornblueKicking @David2Akers Appreciate the support! Football is a huge part of my life, but it’s not priority #1 .